Another short novella from Dalkey archive and this by a recent Prix Goncourt winner Lydie SlavayreIts been a while since I featured a Goncourt winner. Lydie was born to refugees of the Spanish civil war. She grew up in southern France. Trained as a doctor with a degree in Psychiatry. She has published a number of novels. In 2014 her book Cry mother Spain (English title ) won the Prix Goncourt. That book was published by Maclehose she has also had four books including this one published by Dalkey. I omitted one detail. She stinks. Every morning when I crack open the door of my office, the obnoxious stench of her perfume smacks me in the face. I stager. I can’t help it, I ve grown allergic to it. Like a police dog , I could sniff out its trail miles away, that’s how allergic I’ve become. It’s crossed my mind that she might soak herself in the stuff just to put me off, to make me go in the opposite direction. The scent affects her but the reaction seems more than that in a way to me!! This is a classic slice of an Office drama. It is about two sectaries Suzanne the narrator of the book has been at her job as the secretary of Monsieur Meyer for more than thirty years. so when this younger woman arrives she sees this as a real threat to her position as Meyers favorite. She starts to pick apart this new younger woman as they work together. She dissects her rival bit by bit as she is doing so you see the pent-up anger in this older woman as she sees her rival become more important to Meyer as her grip on her life is starting to slip. This is a woman not only losing her job but there is a sense she is getting old and that is the reason for her replacement not just to learn from her but also to easily slide Suzanne into retirement and also accepting her problems. This is a slice of life in an office the jealousies of office rivals the older member like an old lion marking her territory but like in Lion pack or Gorilla families that Alpha in the head has to succumb sometime and this is the moment caught in the book that breaking of an Alpha. Because I’ve had a dull ache in my chest for seventeen days, I go to the doctor. He asks me if the pain spreads towards the shoulder and along my left arm. No. It’s just in my chest. As if it were digging a hole that opens and close,opens and cloes. While hes gliding his icy stethoscope over my chest, he asks what happen right before the onset of this pain. Imagine you’re straight path, I tell him, wwhich you can follow with your eyes shut, it’s so familar to you. Then suddenly, you no longer recognize it, even though everything you see is identical to what was there before. Do you know what I mean? Her we see Suzanne has more wrong than we see an underlying problem !! This is a fun book and a touching book and to do both at the same time is great it is a Tragicomedy of a woman fall. We see Suzanne ripping into the new girl. I was reminded of the scenes in the Office as the David Brent tries to capture his Job as the new man takes his place and that loss of the Alpha role well this is the same the role of being Meyers main secretary is the prize and the Older woman is describing losing the grip but she is seeing it as thou this younger woman has pushed her out but in between the lines there is the sense she is failing in her job but maybe age has caught up with her. She isn’t as flexible as her younger counterpart having got set in her ways as the world around her has moved on. There was that bittersweet taste in the prose that I find in the work of Bernhard the satire of loathing he wrote so well. Lydie has caught what happens when one’s life falls apart in a simple monologue another nod to Bernhard in a way. I was touch by her fall it was a shame like one of those football stars that shone but has stayed on the pitch far too long!! sarah quotes Marie Duplessis Liszt’s mistress and a woman who inspired Alexander Dumas . The last but one sentence of the intro is the key to what this book is about simply Enard is a huge fan of the Middle east and this book is his ode to the way us in the West and the east mix together . I’m now not sure what we call this area the middle east or as Nawai El Saadawi who’s middle east , the Wests middle east ! so from the middle west here is my view of this wonderful book . Then we have the term Orient the older term which is the one Enard seems to prefer . Anyway the Arab speaking world and How Enard has chosen to show us this west and east struggle via Franz Ritter a Austrian musicologist who over the space of one late night and early morning suffering with a bout of insomnia he recalls his frequent trips to this part of the work . so from Istanbul to Tehran and place like Aleppo and Damascus we follow Franz but also Sarah a spirited french woman like Franz caught between west and east. SO as the night goes on the arc of the relationship maybe also arcs the relationship of west and east . Like the point of a compass this book points east to the heart of Arab world and an affair that was doomed but also the clashing of the west and east how the west has viewed the east through music , art and literature and how these have been tinged by the East from Franz Liszt to Agatha Christie the east has touch many artists and their works . Well as you see this book is one that it is easy to fall in love with it is one of the novels that you will also need a note-book and maybe Spotify hand to listen to the music mentioned and the books mentioned. So as we see Franz wrestle with on coming sleep and the dreams to remember the good and bad times of the relationship. This is also an ode to that lost world his times in Aleppo , which is now a smoking ruined city instead we see the Aleppo that drew people there before the war . We get a sense of a past that isn’t there now a time when the world wasn’t so tense in this Joycean evening of vivid dreams of a long past relationship and world . I decide as two books arrived today I would talk about them and save you another review til tomorrow. The first is the first from this years Fitzcarraldo editions and it is a big prize-winning French book this won the Prix Goncourt , I have read a number of the recent winners, this is from a writer I have really enjoyed before Mathias Enard. The book follows a night in Franz Ritter as he is unable to sleep but as the night pass he travels the middle east from Istanbul through Aleppo to Tehran. a bridge from east to west I read an interesting interview about the book and its Orientalist angle of the book from a french website L’orient Litteraire a very insightful piece. Mathias Enard is one of of the most inventive writers around this is the third book from him I have. Then I was contact by the publish of this prize-winning Lithuanain novel as he noted I had yet to review a book from their and this is the first book published by a living writer Laura Sintija Cernauskaite won the 2009 eu prize for this book. The book follows a family with a son with epilepsy whom mother adopts another boy a young Orphan taking him to their country home where their lives will never be the same . This is first of two book they are publishing at Noir press . What books have you had arrive ? I am carrying on my journey through books from last year that may make the MBIP2016 and next up is The Prix Goncourt historic novel from Pierre Lemaitre. and a book from one of my favourite translators Frank Wynne He is better known for his Crime Novels Alex and Irene, I reviewed Irene and enjoyed it , but I was looking forward to this given it’s post world war one setting and the fact it won the Prix goncourt. This later position was one espoused by Lieutenant d’aulnay-Pradelle. When talking of him, everyone dropped the first name the nobility particle, the “Aulnay” and the hyphen, referring to him simply as “Pradelle” since they knew very well how much this riled him, They could afford to do so, since Pradelle made it a point of honour never to express personal aimus. The three of them at the start of the book in the same army unit and they have little respect for Pradelle the officer. The book follows three French soldiers as they start to make their way post war in war-torn France. Now these three are trying to get their own back for the horrors of the war by running a couple of clever confidence tricks. The first two Albert and Edouard met just as the war is about to end in an incident that leaves one of them disfigured and the other with what is know called post traumatic stress disorder after the events that brought the two of them together out of the army they head to Paris and find the streets aren’t paved with gold , but find a clever way to make some money by conning French towns and villages as they go round selling fake war memorials . Then there is Lieutenant Henry D’Aulnay Pradelle is trying to get the hand of a wealthy heiress, but has to find a way to make money so gets a job burying the dead he was the man who sent the first two out on the job that caused them to end up the way they did on a fruitless mission, he is a real cad.What we see is how each man falls down their respective holes post war. It was these workshops that had produced the magnificent sample coffin that had been sent to the war graves commission, a superb oak casket worth every centime of its sixty francs. Now that it had served its purpose in persuading the adjudicating committee, they could move on to more serious matters, to the coffins that would actually be delivered. Pradelle sends a great coffin to bury the dead to the graves commission then actually makes some substandard ones in the place. I loved this it was a slow burner to start as the war burns out, as he starts to place the characters in their places for what is to follow post war but as the book gets on the pace picks up some what as we see the three men each start to run their swindles. I think it is a shame the title was changed from Goodbye there , which as Lemaitre explains were the last words of Jean Blanchard a man shot in 1921 after he had done something similar to the title characters. For me one reason is to link this in the English mind to the great pieces of lost generation literature The great swindle maybe brings to mind the Great Gatsby and as Gatsby in the book in one line of thought is meant to be a swindler that made his money in a very dark way it may be a connection not sure that is just my idea. in the afterword Lemaitre gives a list of world war one books that inspired him Barbusse and Jules Romains (I have Romains Verdun in my TBR pile ). He also notes a number of 19th century French realist writers for inspiring the style of writing in the book, I can see Pradelle is one character that could come from Dickens as Dickens was inspired by a number of the writers on Lemaitre list. The great swindle is a dark look at the underbelly of the post war lost generation and what happens when the dreams of peace don’t go as planned. Well today is Bastille day , so a perfect day for French novel and this is the most recent I have been sent , I may remind you there are 59 books from france under review on the blog ., Jean-Christophe Rufin is one of the founders of doctors without borders and a former ambassador of France to Senegal , he also won the Priz Goncourt for a debut novel in 1997 , he has also won the main prize in 2001 , and has since then he has written over ten books .He is also the second youngest member of the French academy .This book won the Prix Maurice -Genovoix a yearly French book prize . At one o’clock in the afternoon , with the crushing heat over the town , the dog’s howling was unbearable , The animal had ben there on the place for two days it had barked . It was a big brown , short-haired dog with no collar and a torn ear . The opening lines as the dog barks all day long . 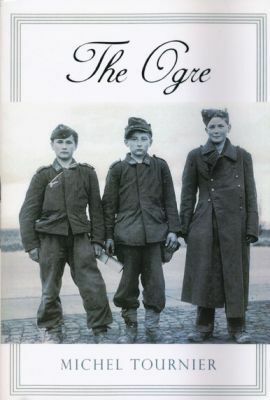 This book is about a dog and three people , the story is set in the aftermath of world war one .A small town of Berry has a dog that is barking all day and night long during this hot summer .A war hero Jacques Morlac is awaiting a trial as a deserter and the arrival of the second person in this story a judge , but this judge has had his worldview scared by the war and what he saw during . The third person is a young woman Valentina she is related too Jacques .We discover how all three faired during the war and what the dog that is barking has to do with them all .Why does the dog wearing a red collar “ribbon” . What did the dog do during the war and how did he connect these three souls . After the armistice , Lantier saw his appointment to the military justice system as serendipity .The relevant committees must have felt he was ripe for this difficult responsibility : protecting the military institution , defending the interests of the nation and understanding mens failings . But this prisoner was different .He belonged to both camps ; he was a hero , he had defended his country , yet at the same time loathed it . Lantier the judge to decide on what to do with Jacques .A job that brings back his own life during the war . I loved this short book it is one of those perfect for a summer evening reads .IT is about war , being human under pressure also the loyalty of a dog to the ones they love .I was reminded of the book by Dan Rhodes Timolean vieta come home ,which like this the dog is a dumb witness to various peoples lives .in the way mention and seen but never do we know the dogs view of all this .Its a simple story of three people and the damage that war can do . From the fallen hero , to the man damage because of what he saw and the damage of being behind the lines during the war .I was also reminded of a book like A month in the country , this book has a similar feel of damaged souls after the horrors of world war one .This is a post war story of the out falling of war , in particular the war to end all wars . Do you have a favourite book from france ? Another school in Manchester The smiths talk about there brutal school days . Febuary 8 1938 , sometimes you have to reach bottom before you at last see a glimmer of hope pierce the clouds .It was the Colaphus that revealed to me for the first time the astonishing protection I was to be the object of , and which still hovers over me . When do we know what is bottom thou ? The Ogre or as it was also published The erl king is his most well-known book . The book is the story of one man growing from a shy boy to the so-called Ogre of Kaltenborn . Abel Tiffauges tale is one of what nuture can do . The story is told by Abel and narrated as we see him move from a simple man working at a garage , a keeper of pigeons and then he joins the army and is caught by the Germans and ends up working at a Nazi school were his job is to recruit kids for this school . How does this bullied school boy become the Ogre of a Nazi school ? When will he see the world for hat it is around him . He had to make a superhuman effort now to overcome the viscous resistance grinding in his belly and breast , but preserved , knowing all was as it should be when he turned to look up for the last time at Ephraim , all he saw was a six -pointed star turning slowly against a black sky . The closing lines of this book as he sees the world slightly differently . This book is an example of what happens when a simple man in a way meets an evil world . Abel becomes like the world around him but how easy it is to get drawn in by the Nazi mindset . Abel is one man but he maybe is also the voice of so many that fell foul of the Nazi regime those how came to blindly believe at what they are told . But given his past you see how that lead to the present . I was reminded in a way of Alex in clockwork orange especially near the end of the book were both characters see what their effect on the world has been. What we have here is a book full of ideas and how ideas can change the world for good or bad , The book has been made into a film in the 90’s which I must try to find to watch .Has anyone seen it ? What is your favourite Prix Goncourt winning book ? I choose a Pogues song about Whalers in the 1800’s seemed fitting to this book . This was a lucky win for the French inisitute on their facebook page , which ask for comments on the cover , I put this is what happens when you fall asleep and leave the pens out for the kids , which won me this book . The book is a prize winning French novel it won the Prix Goncourt Roman , which is the section of the french prize that is awarded to the best first novel . 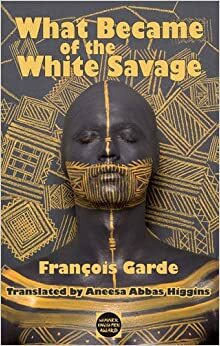 This is The first Novel by Francois Garde , he worked as a senior civil servant for many year in the french overseas territories in Pacific and Indian oceans . When he reached the top of the small cliff he realised that he was alone . There was no sign of the dinghy drawn up on the beach , no sign of a boat floating on the blue-green water . The schooner lying at anchor in the entrance to the bay was nowhere to be seen , no sails visible on the horizon . He closed this eyes , shook his head .Nothing they had left . The opening as he sees he is all alone . This like an earlier Goncourt Roman winner I reviewed HHhH is a novel based on a historic event .This is the true life story of Narcisse Pelletier a young French sailor who in the 1840 was apart of a french ship that left him behind and was shipwreck in the far reaches of Australia .He is lucky to have been found by a tribe of Aboriginals whom adopt him after he removes his clothes and they see he is a man just like them . The story starts when he is discovered after seventeen years in the wild and taken under the wing of a French geographer whom brings the young man named the White savage because of the way he looks .On the way back to France the two men try to discover what happened to Pelletirer , who he is where the rest of the crew are and what he has done for the last seventeen years . “He belongs to neither the black nor the yellow races . This is evident from the colour of his skin , his build and the texture of his hair . Nor is he of the semitic races this can be seen from his high forehead , straight nose , straight brown hair and full beard . I must also point out that he is circumcised , not in the way that Jews and muslims are , but rather in the manner of the natives of this country . Narcisse when he is first found is a mystery where did this White savage come from . To be truthful I hadn’t heard of Narcisse Pelletier or his story before this book . But have always been a fan of Robinsonade books like The island before tomorrow , pincher martin or even my childhood favourite Abels island , books inspired or similar by Robinson Crusoe .This in a way is the flip of that story when Crusoe tamed the savage , This sees the white man go native to survive another reason I love these stories is traveling up every year to my grans we passed through the village of lower Largo the home of Alexander Selkirk , whom many thinks was the role model for Robinson Crusoe after he spent five years on an island of the coast of Chile . If you like a novel with a lump of true life this is the one for you as the story unfolds from the two mens points of view , Narcisse telling his story and Octave the geographer telling the story of the journey back via a collection of letters . A book about who we really are where we from or where we have grown ! Have you a favourite novel from the Robinsonade Genre ? Mine, O my love! floats upon your perfume. Heady tresses be the billows that carry me away! I thought of this straight away baudelaire poetry and this one caught my eye . I have reviewed the first book that Maclehose press published by Jérôme Ferrari Where I left my soul and loved that book ,so when I was sent this book I was pleased and it was surprised that it was a very different style of book to Where I left my soul .Jérôme Ferrari studied at the Sorbonne ,he studied philosophy ,he has since taught in Algeria and at a High school in Corsica ,His first book translated into English was set in Algeria and this his second to be translated is set in Corsica .The sermon on the fall of Rome won the Prix Goncourt the biggest prize in French literature .I feel the sign of a great writer is the ability to change the style of what you write and it still be great for me Ferrari has this . In the middle of the night ,taking good care tom make no noise ,although there was nobody to hear her ,Hayet closed the door of the little flat she had lived in for eight years above the bar where she worked as a barmaid , and disappeared .Around ten o’clock in the morning the hunters came back from the drive . One of the bar people who disappeared . The book is a trio of stories really the first story the main story is that of a bar in the mountains of Corsica ,that is brought by two friends Mathieu and Liberio ,who have returned to the island disillusioned with their life in Paris studying philosophy .The bar they buy with money from Mathieu grandfather Marcel ,the bar has very attractive barmaids and a collection of odd customers and the local hunters .The story follows affairs and drinking too much and what effect that has which isn’t a great effect .The second story is that of Marcel the grandfather who loaned the money to the two boys to open the bar ,his story is one of the French empire he spent most of his life which we see in snippets throughout the book ,is the fall of French empire in Africa in particular .The Third part really isn’t a big part but gives the title to the book and that is the Augustine of HIppo the fourth century saint ,Ferrari has retold the sermon that Augustine told on the fall of Rome ,we can see a parallel on the fall and the fall of the french empire . From the last chapter a reworking of the sermon on the fall of Rome . Well I love the way the book took a small place a bar and the people who visit it and used that as a wider question of what had happened in France and across the French empire ,then using the story of Marcel to illustrate this and delving even farther back to use Augustine of Hippo to connect the fall of the French empire to the fall of the Roman empire .The book has naturally been compared to Marquez’s works ,of course around the bar you are reminded of small village life we see in Marquez’s work but to me I was more remind of a more recent French novel I have read where the tigers are at home another book that uses the past and the present to weave a tale on a wider scale .There is fluidness to Ferrari’s writing you never sense a jolt as you move from place to place and time to time each connect to from a wonderfully vivid take on the fall of empire ,but also on where France could head after this ,add to this affairs causing trouble between the two main characters ,thieving and the fact a lot of the past owners of the bar have vanished you see there is more to this than it first seems . 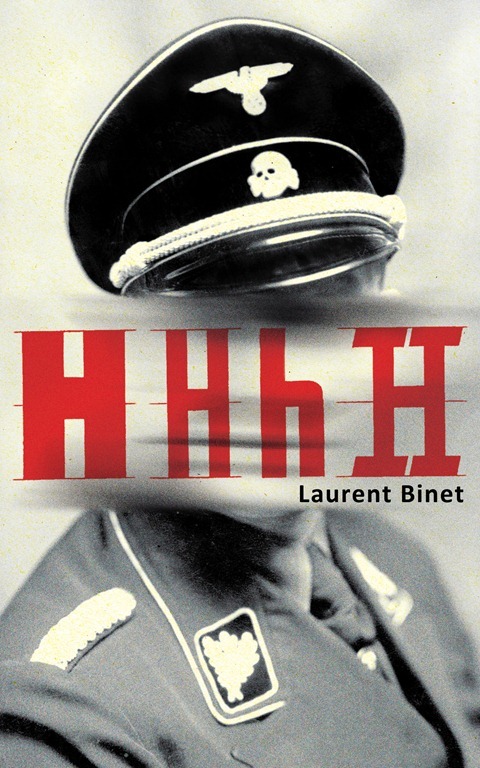 Laurent Binet is one of the hottest new writers in France ,this his debut novel won the Prix Goncourt prize for debut novel rather like our Costa prize for a first novel in the UK .He was Born and grew up in Paris, his father is a historian .He recently chronicled the campaign of the new french president Hollande .He currently teaches in Paris . Well I think every one has heard of HHhH by now .I do wish every book in translation was given as much press time as this book has been .I think this is help in a large part by the wonderful job Harvill ecker have done on the book as an item of book art in its self a stunning cover shot, is match by a nice grey marble hardback and the use of a germanic style font for the HHhH which is also follow through on the edge of the pages a bit like a huge red ink stamp ,you may have seen in countless world war two movies .So I give it away the book is about the second world war and mainly about three people three people the first is the character of the tile as the title is an acronym for Herr Himmler gesicht heisst Heydrich or Himler’s brain is called Heydrich – Heydrich was Himler’s right hand man and for those of you who remember was played by Kenneth Branagh in the film (well tv play here but think a film abroad ) Conspiracy ,I have include the trailer here give an idea of the man we are talking about in the book .Binet opens the book with the build up of Heydrich from his youth ,then in the army and then as an officer in the S.S and how he ended up as the one that started the final solution he was the one the proposed the mass killing of the Jews in europe . Little Heydrich – cute blond ,studious ,hardworking ,loved by his parents .Violinist ,pianist ,junior chemist .A boy with a shrill voice which earns him a nickname the first in a long list : at school ,they called him the goat . So we see how the boy they called the ” goat ” became” the butcher of Prague” .As he rises in power and ends up in Czechoslovakia ,he becomes a target for assassination by the Czech resistance and this is the second part of the book to men are sent by Czechoslovakian resistance to kill him in Operation Anthripod the two men chosen are Gabik and Kubis are two very different men to one another but are sent with one purpose sent with one purpose to Kill the butcher of Prague . Gabcik the Slovak and Kubis the Moravian have never been to Prague ,and in fact this is one of the reasons they were chosen .If they don’t know anyone the won’t be recognized .But lack of local knowledge is a handicap ,so part of the training involves studying maps of the beautiful city . Is it a handicap the lack of knowledge you’ll have to read the book. Well now I have a problem ,I liked this book a lot. But I did have one or two problems with it .The historic narrative is great the long passages of action are worthy to stand up with all great war fiction ,he captures the build up of Heydrich as an SS officer well and then the tension of the two men in pursuit of Heydrich well as well .No my problem is the third narrative strain which is Binet breaking out of the book and talking to you as the reader this is rather like Calvino did at time in if on a winter’s night, he address you as a reader ,the main drive of this discussion is a comparison between his book HHhH and the book the Kindly ones by Jonathan Littell (he is american but grew up speaking french and writes in french this book is the only book in the last ten years I ve not finished ) ,Now I didn’t particularly like the kindly ones but Binet really didn’t like it ,the french publisher had to remove twenty pages of his words about the kindly ones from the french edition of this book .I like some of his comments about writing in general but others seem less important .The book hasn’t page numbers just chapters number I do wonder if the chapters are like bits he collect as he thought of the book as some just half-dozen lines others tens of pages like he almost decide to include his own notes as he progressed through the book . The book remind a bit in style of the bits of USA by John dos Passos I read when I got it to read a few years ago a mish mash of narrative, fact and commentary thus build a novel a bit like you may a collage out of little bits of pictures to build a bigger picture that is HHhH .Now I ve read that some people having problems with the translation some names have been change from the French edition I m not overly concerned the change of the surname Veil in french to Weil in english as it is a germanic name the V is said like “vow” in english anyway so could sound like a w in english .As a first job of translating from french to english Sam Taylor has done a sterling job . 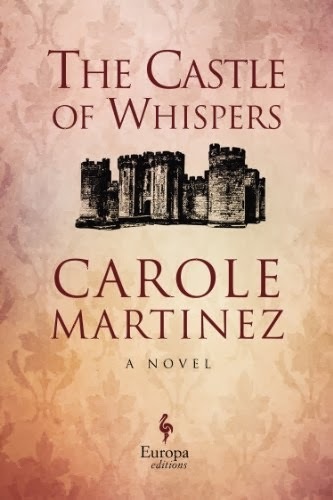 Have you read this book what did you think ?